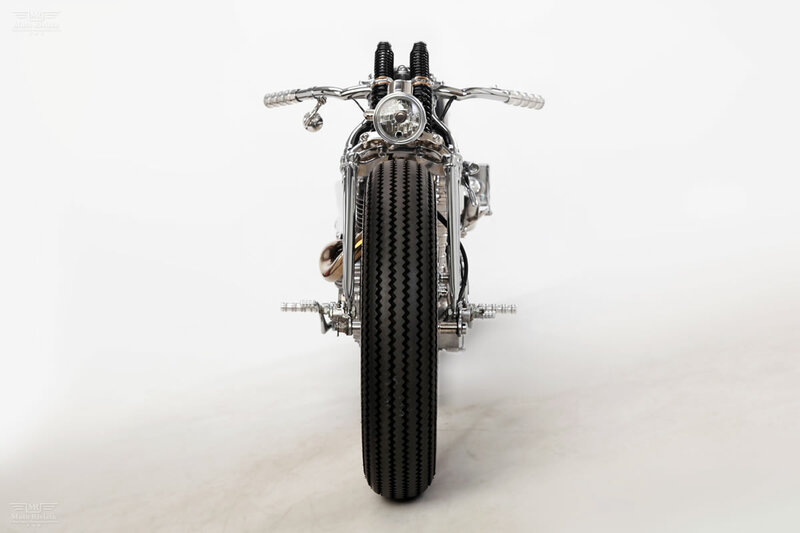 Konnichiwa Moto Dokusha….Our knowledge of Japanese language is almost non existent at best but that does not stop us from trying to look and learn from the amazing Japanese Custom Motorbike builders. 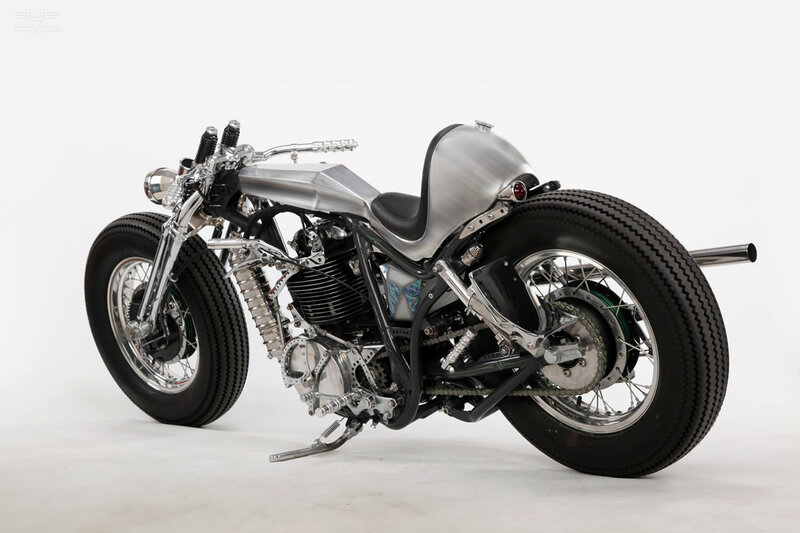 One of our favorites is of course Motor Rock, and today we are taking a closer look at their custom Yamaha SR400 called ‘Clock Work’. 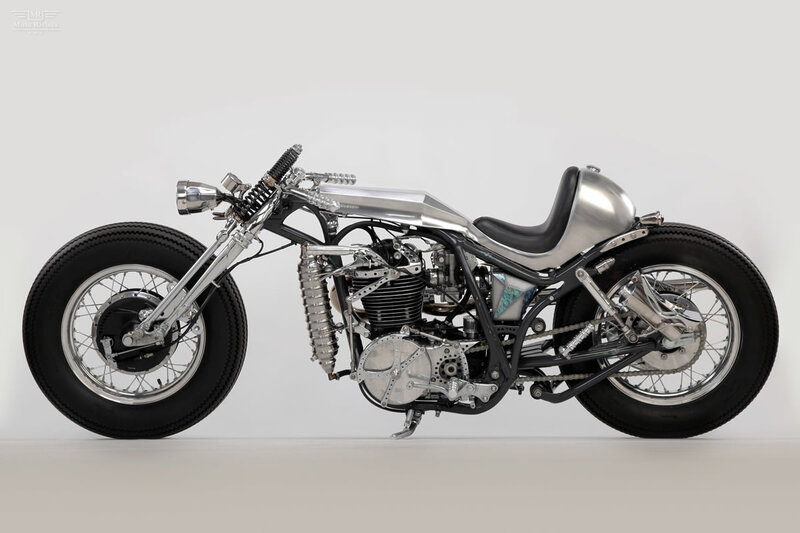 This bike was on display at the Nagoya Motor Show 2011 and has been exhibited at the 20th Annual Yokohama Hot Rod Custom Show 2011. If you where lucky enough to attend either of these events then you have already seen this beauty up close and personal, if not we have the next best thing some awesome images where you can see for yourself the detail and extent of work involved in this build. 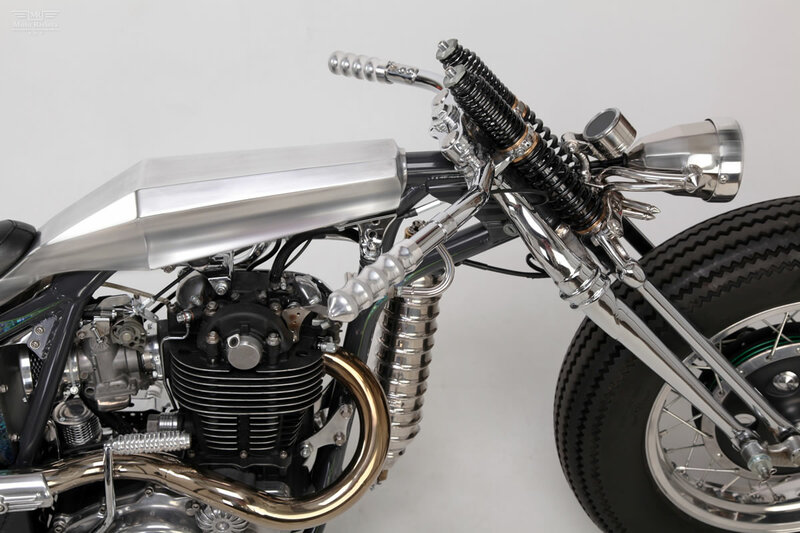 The fabrication work from Motor Rock is delightful, taking a Yamaha SR400 as a custom base and transforming it into ‘Clock Work’ is just astonishing. The engine features 89mm Piston/92mm Stroke crankshaft fitted with Keihin CR Carburetor and K&N air cleaner. The one-off main tube & sheet rail processing frame also features a one-off oil tank, which forms great lines with the rest of bike. At the front we have the 74Springer/Processing front fork fitted with one-off handlebars and DAKOTA digital meter. At the rear the bike features an EASYRIDERS billet suspension with one off taillight and license holder. 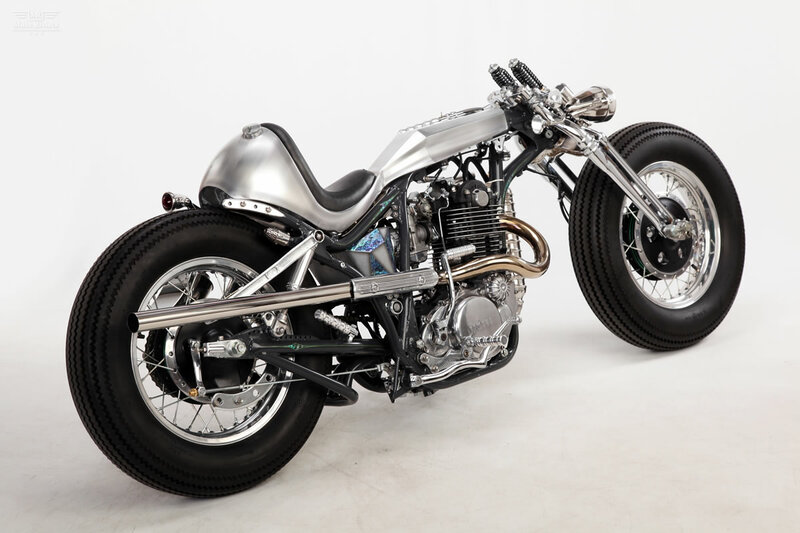 ‘Clock Work’ rolls on 16-inch front wheels and XS650 rear wheel, wrapped in COKER Firestone vintage beauty tires. Although most of the bike is an aluminium finish, the frame was painted by Ton-Up Paint Works. The fabrication work goes above and beyond on this bike and is just mind boggling. Most of the parts for this build were produced in Motor Rock’s workshop including the rear fender, battery case, exhaust, kick pedal, footpegs and the sprocket cover. 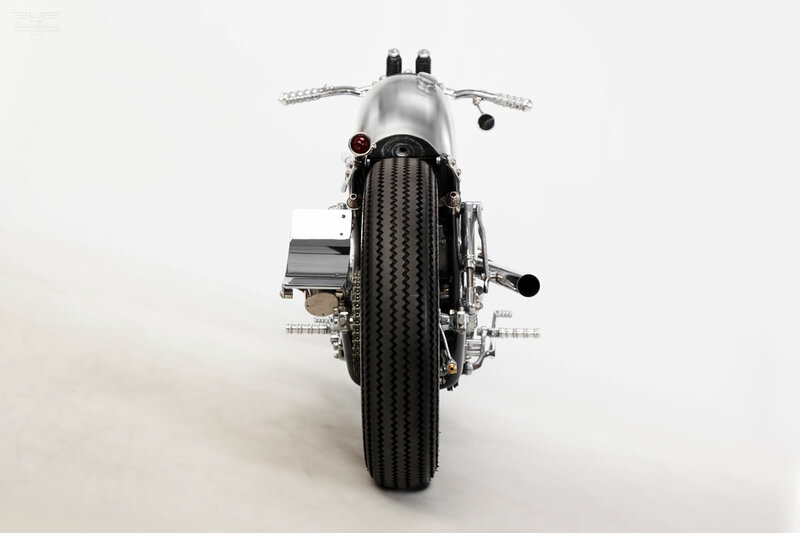 I can imagine how many eye balls at the custom motorcycle shows would have be mesmerized by the details of this bike. Another fantastic example of the work by Motor Rock. Check out a couple of the other Motor Rock bikes we have featured, Suzuki GN125 by Motor Rock, Yamaha TX750 by Motor Rock.